For many people, the term lockdown solutions entered their vocabulary on September 11th, 2001. American Airspace was locked down for three days due to Al Qaeda’s attacks. We were reminded of Lockdown Solutions more recently with the Boston Marathon bombing, as the city was locked down until the second suspect was apprehended. Due to recent school shootings lockdown solutions are increasing in demand. There are many definitions for the word lockdown, but the main idea is to keep information or individuals from escaping or entering. For example they can keep perpetrators out and ensure the safety of people inside a building. Lockdowns are used to mollify disruptions, or even prevent crime all together. When it comes to door lockdowns, there are various levels. A partial lockdown might only lock a small group of doors, or even just one door. A full lockdown would lock all the doors in a building, or even a campus. Lockdowns are used in National Security incidents as well. Over the years U.S. Embassies have been attacked in different parts of the world. The U.S. Government responded to these attacks by building concrete walls around embassy perimeters. They also stationed Marine guards, and installed high security door locks. They also built lockdown systems designed to lock would be attackers inside the facility, where they would be met by the armed guards. Lockdowns systems are recommended by Federal Guidelines for use in healthcare. They are recommended for use in emergency situations such as power failure, earthquake, external contaminations, bomb threats, floods, fires, and hostage situations, among others. Obviously correctional facilities have a need for high tech lockdown systems. 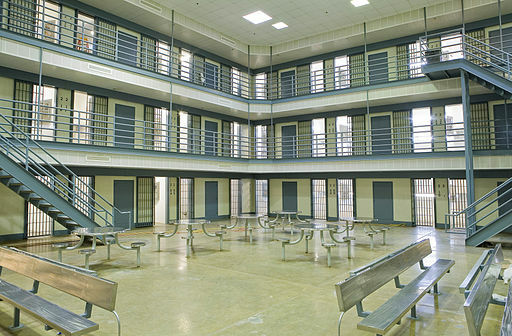 Here, lockdowns are a daily occurrence, and are often used during riots and prison escape attempts. Wireless Network locking with Global Lockdown solutions. For more information, checkout the August 2013 edition of Locksmith Ledger International, Volume 73, Number 8, or visit their website.